As One Devil to Another: A Fiendish Correspondence in the Tradition of C. S. Lewis' The Screwtape Letters is an astonishing debut work that C. S. Lewis’s biographer and foremost Lewis authority Walter Hooper calls “a stunning achievement, the finest example of the genre of diabolical correspondence to appear since this genre was popularized by C. S. Lewis.” Enter into this chilling and diabolical tale, one that reveals the very tricks and strategies of Hell. Through a series of letters between devils created by Platt, senior devil Slashreap trains his young protégé, Scardagger, to win an individual soul away from Heaven and into their clutches. As the devils plot their way to triumph, they reveal the spiritual dangers and risks we face in today’s society. Their frighteningly accurate perspective on issues such as contemporary technology and sexual mores is interwoven with timeless matters such as the power of prayer, the purpose of suffering, and the promises held out by Heaven . . . and Hell. 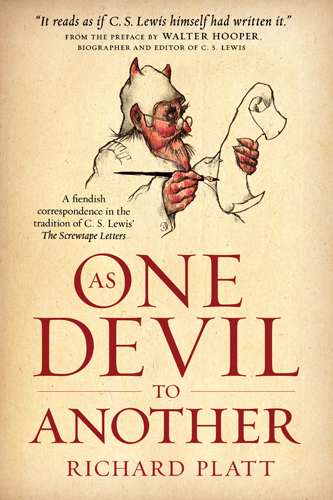 Destined to become a modern classic, As One Devil to Another is a brilliantly written, deeply unsettling perspective on twenty-first-century society . . . a glimpse of ourselves through the eyes of those who have embraced their underworldly existence. Although I did enjoy the book, I found it hard to read at times. I found my self re-reading some passages and chapters before I fully understood what the author was saying. The letters were written in the classical style and that is why I had some difficulty with the book. The premise behind the book was interesting. I have never read the The Screwtape Letters: With Screwtape Proposes a Toast by C.S. Lewis so I can not compare the two books. There were numerous illustrations that helped to explain the letters and some of them were very humorous. The book reminds us all that it is very easy to fall into Satin's hands and be corrupted. 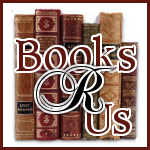 Would you like to win a copy of the book? Contest ends on 5/23/12@11:59pm EST. See rules on Rafflecopter. I was given a free copy of the book by the publisher for my honest review and I was not compensated for my review.